Submitted by Neven (not verified) on August 27, 2007 - 6:18am. 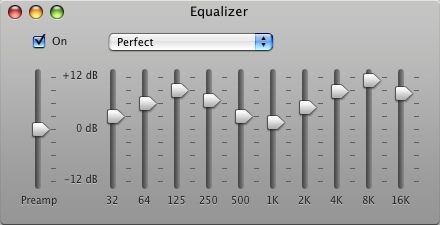 I've tried this preset on my Aluminum iMac while listening to a mix of light rock, jazz, vocal, and beat-heavy music, and all of it sounded better than with the flat setting. Perhaps my ears are "broken" - you don't see me crying about it.